Marion Acreman is the Centre Manager at MacDonagh Junction Shopping Centre in the City. She comes from a background of commercial property and retail management. She has worked in the City for over 20 years. Marion, a graduate of Carlow IT and UCD is currently a student at College of Estate Management, Reading and also is a co-director of her husband’s business Kilkenny Motor Factors Ltd., as well as enjoying the benefits of raising two young boys. She is a member of IPFMA, BCSC, RICS (Assoc), ICSC and is secretary of ASCMI (association of Shopping Centre Managers, Ireland). Her focus is on enhancing the customer journey and leading a strong staff team. 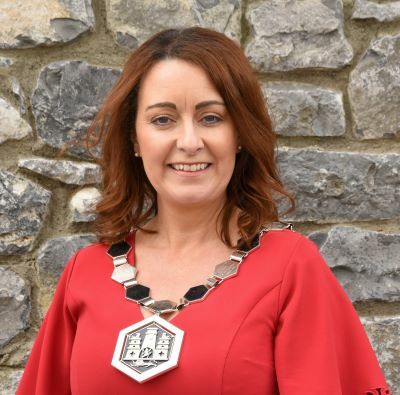 Her long term objective is to help carry the City forward and improve the overall retail experience and offer to customers in the County and surrounds as well as enhancing the attractiveness of Kilkenny as a retail destination for domestic and overseas visitors. Deirdre Shine is a native of Kilkenny. She holds the position of County Manager, Bank of Ireland, Parliament Street, Kilkenny. Deirdre has held senior Managerial Roles within Bank of Ireland over the past 18 years. Deirdre’s experience is in investment banking, direct channels, and retail banking. Previous to Kilkenny, Deirdre held the position of manager Bank of Ireland Thurles and Bank of Ireland Castlecomer. Deirdre spent a number of years in Bank of Ireland Dublin with experience in Investment Banking. Deirdre is a qualified Financial Advisor and studied in the Dublin Business School (DBS). Deirdre is married to a Kilkenny native Harry and has two young children. Colin Ahern is a native of County Limerick and has been living in Kilkenny with his family since 2006. 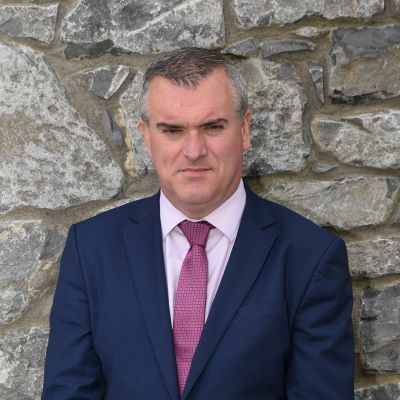 He has been a Hotel General Manager for over 15 years, working in 4 and 5-star hotels in Ireland, Northern Ireland, and mainland Europe and he has been General Manager of the Kilkenny Ormonde Hotel since 2009. A graduate of TCD and DIT, Cathal Brugha Street, Colin is completing a Diploma in HR Strategy at the IMI. 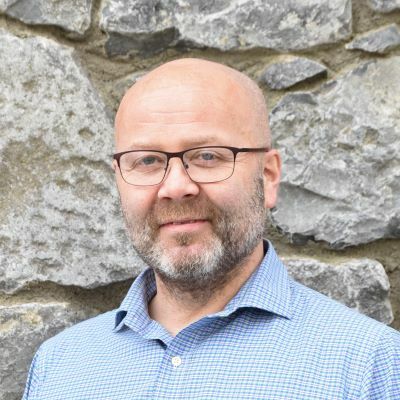 Colin is a current board member of Kilkenny Tourism, BITA, and Trail Kilkenny and is a member of the IBEC Regional Executive Committee in the South East. He has previously served on National Council of the Irish Hotels Federation and was Chairman of Kilkenny Tourism from 2013-2016. Owen Sweeney is a native of Kilkenny. He is a qualified solicitor (E2007) who has worked with Poe Kiely Hogan Lanigan since 2004 having commenced his Indentures of Apprenticeship with the firm. Since qualification Owen has specialised in the area of Commercial Law and has gained significant experience in various aspects of Commercial Law and Commercial Property with particular emphasis on commercial acquisitions and disposals, insolvency matters and renewable energy. 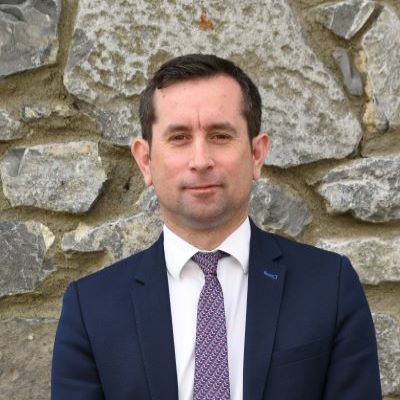 Owen is Secretary of the Kilkenny Bar Association and was co-opted onto the Chamber Board in April 2013 and was elected Honorary Secretary and Company Secretary of the Chamber in May. Paschal Bergin is a native of Kilkenny City. He runs Paschal Bergin & Co., Chartered Tax Advisers and Accountants at 10 Ormonde Street, Kilkenny. His firm provides tax advice and consultancy on all aspects of tax and also provides accounts and payroll services and it is in business since 2001. He is a member of the Kilkenny Business Club. He is also fixtures secretary for the Kilkenny & District Soccer League for the past five years. Jane Devlin is a native of Kilkenny city. 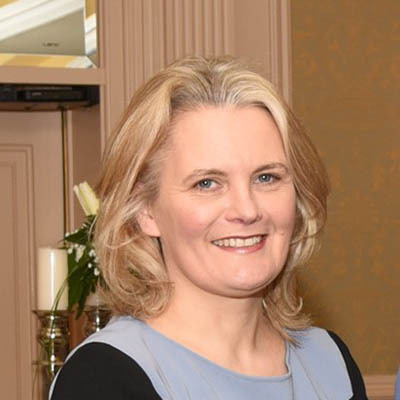 She returned to work and live in Kilkenny in 2003 following three years studying for an Honours Bachelor of Science (Finance) in UCC and another three years training as a tax advisor in PwC Dublin. Jane is a Manager in the tax department of PwC Kilkenny and her main client base are companies located across the South East. She also spends some of her time working in the Dublin office of the firm as part of the Asset Management tax team. Jane is a representative of the Institute of Taxation in the South East. Jane is married to Padhraic Devlin, also a native of Kilkenny. Brian Keyes is the Editor of the Kilkenny People, founded in 1892 and one of the top regional newspapers in the country. A graduate of College of Commerce Rathmines, he is a native of Goresbridge and lives in Kilkenny City. 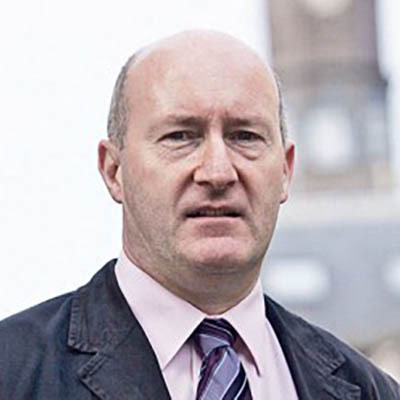 Brian has extensive media experience, having edited two regional newspapers, he has worked at a number of newspaper titles throughout his 25-year career and was Editorial Director with Johnston Press Ireland. 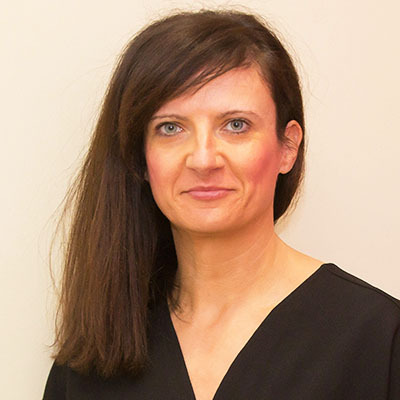 Bridget O’Dea is a Director with Purcell Masterson Public Relations, one of Ireland’s leading Public Relations and Communications companies providing Communications Strategies, Publicity, Media Training, Digital Media Management and Event Management for a wide range of clients. She has led campaigns for some of Ireland’s best-known companies and personalities such as Petmania, Portwest, Visit Kilkenny, Jerpoint Glass, The Rotunda Hospital, International Charity To Russia With Love, The National Reptile Zoo, Neven Maguire of MacNean House and Restaurant and Chef Gearoid Lynch of The Olde Post Inn. 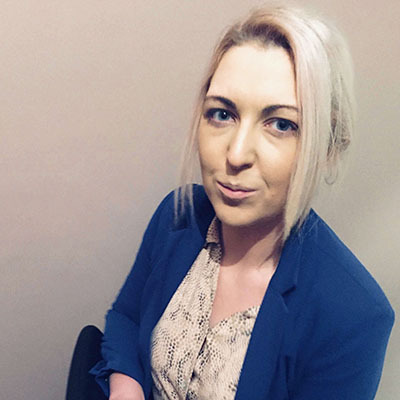 In 2015, Bridget was recruited in-house to one of Europe’s largest manufacturers of Personal Protective Equipment and Clothing to deliver a number of marketing and sales based projects. She returned to Purcell Masterson in 2016 and has recently been appointed to the Board of Directors of the agency. Her specific areas of interest are Corporate, Consumer and Charity PR along with Talent & Personality Management. 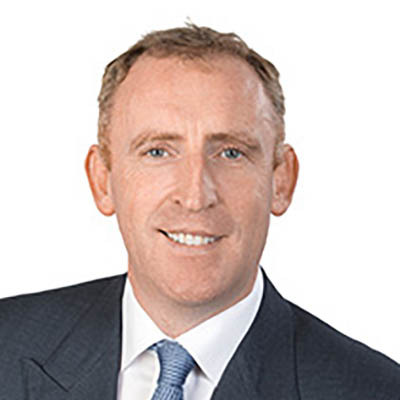 Michael Brannigan is native of Kilkenny and Executive Chairman/ Director of the PRL Group Limited, specialists in logistics and supply chain solutions. The business was founded in 1932 and since it’s foundation it has become one of Ireland’s most successful supply chain logistics companies. He is a member of the Brannigan family who have been involved in the road haulage and distribution business from many decades in Kilkenny. The PRL Group specialise in the fmcg (fast moving consumer goods) specialising in chilled frozen ambient and pharmaceutical sectors providing multi-temp Warehousing, multi-temp Distribution, Retail Sales Services including van selling and cabinet management, Re-packing /Co-packing and Added-Value Management services. A private company, founded in 1985, and are entirely Irish owned and managed. The PRL GROUP was formed from the amalgamation of Roadload Distribution, Packaging Resources, Brannigan’s Warehousing and Distribution, and Roscastle Logistics. 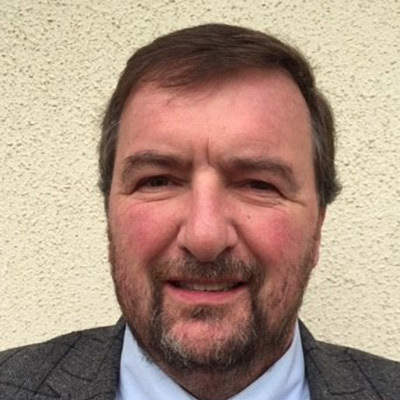 Laurence Conroy A technology and engineering professional, Laurence has over 27 years’ experience in building and leading engineering teams and is currently serving as the general manager of CipherTechs EU in Kilkenny coordinating the activities of the Security Operations Centre. He has a proven track record implementing security programs in complex organisations to manage and reduce risk. 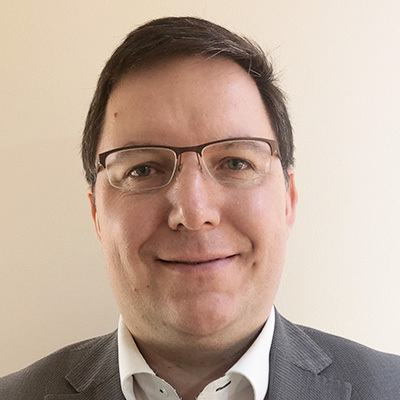 Laurence is a Chartered Engineer and holds a master’s degree in operations management and degrees in both electronic engineering and information technology. Prior to joining CipherTechs Laurence was a successful project manager commissioning marquee projects on behalf of customers such as the Qatar Foundation, McLaren Technology Centre and the Dublin Docklands Development Authority as a systems integrator. Martin Costello is a native of Bonnetstown, Co. Kilkenny. Martin is a 4th generation co-owner, Director and Secretary of Kilkenny Jewellery Co. Ltd T/A Murphy Jewellers. He studied in Kilkenny, Waterford and San Diego where he qualified as a gemmologist. He’s worked in the jewellery trade in Dublin and Melbourne. He joined the company in 2003 and took over the running with his brother after his father (Seamus’s) short illness and passing. Seamus of course was a former President of the Chamber 1988-89. Jason Dempsey is a native of Kilkenny. He holds the position as Senior Branch Manager, AIB Bank, Kilkenny. Jason has held many different roles over his 18 years with AIB such as in Lending, Sales & Project Management in Cork, Dublin & the greater Leinster areas. 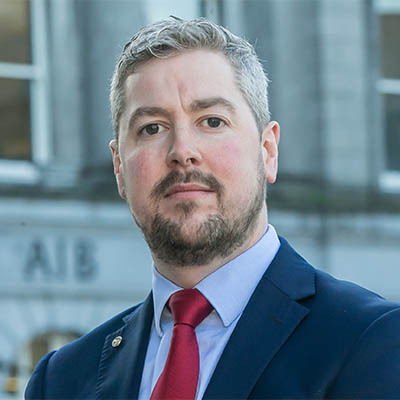 Jason holds the Professional Banker Qualification from UCD and the Institute of Bankers along with various other qualifications from these bodies. Jason is also the current Treasurer of The Rotary Club of Kilkenny and is an active member of his local GAA club, Dicksboro. Jason is married to Nicola and has 3 young children. Gary Graham is originally from Rathfarnham in Dublin, Educated in St Marys College CSSP Rathmines, came to Kilkenny in 1982/83 and did the ICES in Thomastown. He went to College of Marketing and Design in Parnell Square. He served his time in the shoe trade in Limerick, before returning to the family business in Dublin working with his father. Gary opened his first concession in 1989 at the Monster House in Kilkenny and then opened his first branch of Graham Shoes in 1992 on High Street follow by Friary St in 1994, Carlow in 1997, Naas in 2004 and Clonmel in 2007, He now has 7 stores employing 30 people and runs the company with his brother Steve and sister Jenny. 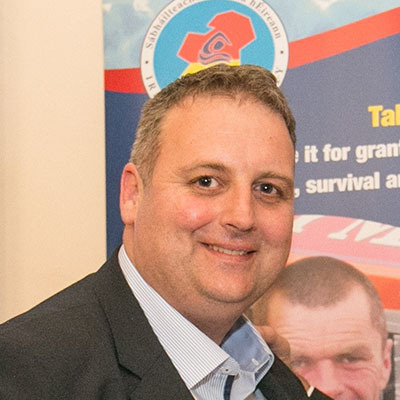 Gary is married with 4 children and was co-opted onto the board of the chamber in 2011. Gordon Murphy is originally from Sutton in Dublin, and lived in Meath for 20 years before moving to Kilkenny in 2013 when he joined Glanbia Ingredients Ireland (GII) as Chief Financial Officer. GII is the milk ingredients business of Glanbia in Ireland with a turnover of over €1 billion and employs over 700 staff in four milk processing plants, two of which are in Co. Kilkenny (Ballyragget and Belview). 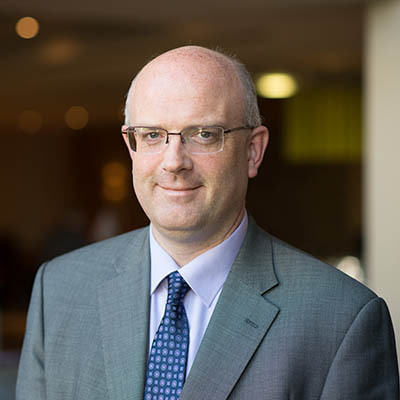 Gordon previously worked as Finance Director with RPS Group (an engineering and environmental consultancy group), before which he was Finance Director with Bord na Móna plc, and prior to that was Group Financial Controller with Kingspan Group plc. He trained as an accountant with PricewaterhouseCoopers in their Dublin office. Tom O’Connor was Managing Partner of O’Neill Foley for over 20 years. He joined the practice in 1978 having previously worked with BDO Binder Hamlyn (now BDO Simpson Xavier) in Dublin. Tom has extensive experience in advising clients in the agricultural, retail, leisure, property, manufacturing and healthcare sectors. He also has a proven track record in delivering value for clients. As Managing Partner, he was responsible for increasing the size of the practice to a position whereby it is now the largest independent firm of accountants in the South East of Ireland and employs over 40 staff. Tom now runs his own business and management consultancy, Poto Consulting Ltd. He is the longest serving member of the Board going back to the eighties. 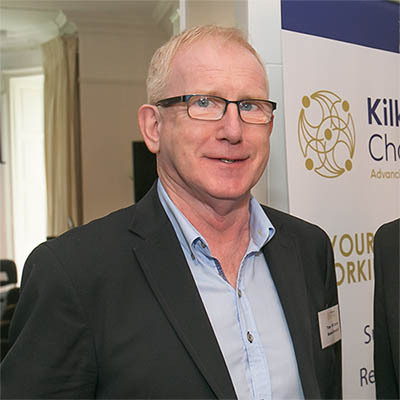 Gerry Rafter is a native of Kilkenny, he has worked in the bar and hospitality trade since leaving school over 30 years ago. He recently served as National President of the Vintners Federation of Ireland and he continues to run his own business, the “Rafter Dempseys” in Kilkenny City. As well as sitting on the local Vintners Committee, he is a keen sports follower with a particular interest in GAA. 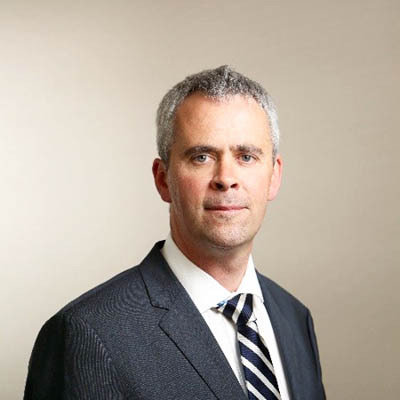 Cathal Smyth is General Manager for State Street and is Chief Administration Officer for State Street Global Services Ireland. Cathal is originally from Cavan and moved to Kilkenny in 2001 to establish State Street’s operations in Kilkenny which have since grown to over 550 staff. Cathal has an Honours degree in Accounting and Finance from Dublin City University and qualified as a Chartered Accountant with Coopers & Lybrand in 1992. 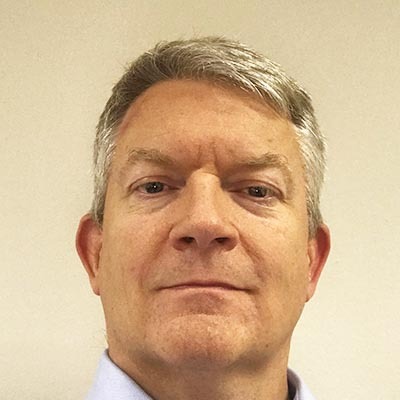 Prior to joining State Street in 1997 Cathal worked with Korea Exchange Bank (Ireland) Limited from 1996 to 1997 and worked in Africa, Europe and the Caribbean as an Internal Auditor with the American International Group from 1992 to 1996. Anne Barber is the owner and manager of Butterslip, an award winning gift shop in Kilkenny. Originally from Fermoy, Co. Cork, Anne is a graduate of Trinity College Dublin and the Michael Smurfitt Graduate School of Business at UCD. 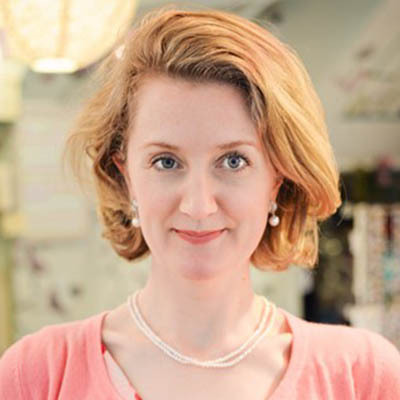 After a career in marketing and event management, punctuated by several bouts of travelling, Anne launched her business, Butterslip in 2005 in Kilkenny city centre. In 2007 the shop moved to a larger premises and has grown from strength to strength. The shop has received extensive coverage in the national press and in 2012 won the Irish Times Best Shop in Ireland Award. Having grown up in a family retail business, Anne is passionate about city centre retailing and working to maintain a vibrant city centre for everyone to enjoy.